A nationwide truckers’ strike that started last week, is badly affecting trade in the country. In its eighth day today, the strike has had far-reaching impact already, and is adversely affecting various sectors of the country’s economy, including agriculture, automotive and white goods industries. The agitation is also restricting the transport of grains and vegetables, raising the prospect of a steep price-rise in their prices going forward. Now, Reuters says that the shutdown is also wreaking havoc for online retailers by disrupting their delivery schedules. According to the report, companies like Amazon and Snapdeal are having to re-allocate shipments, with the strike starting to affect large parts across western and northern India. In a press statement, Amazon said that it is working with its sellers and customers to make sure that the disruption stays to a minimum. “The delivery of products in a few cities has been impacted and we are working closely with these customers to get their orders to them quickly”, the report quoted an Amazon spokeswoman as saying. Meanwhile, Snapdeal is also in the same boat, with the slowdown of long-haul transportation creating a major headache for the company. According to a company spokesperson, “We have partially mitigated delays by re-allocating shipments as per operational capacities of our logistics partners”. He also said that the company had informed buyers and sellers about the delays. 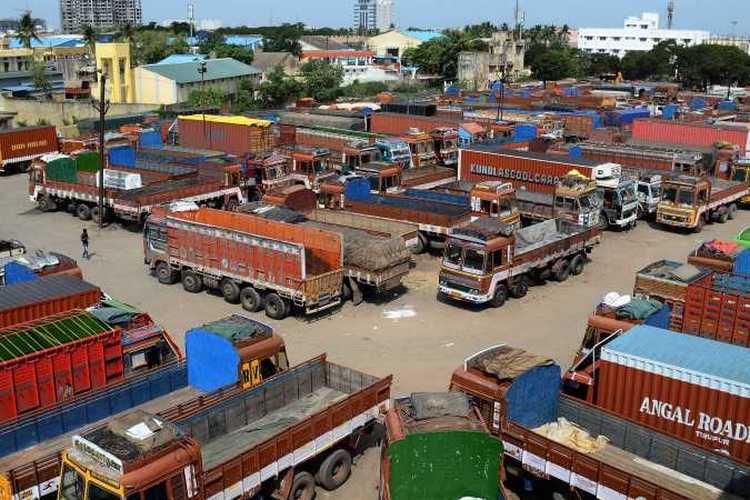 The strike, which started on the 20th of this month, has been organized by the All India Motor Transport Congress (AIMTC), which claims support of 93 lakh truckers most of whom are from the North and the West. The union is lobbying for diesel prices to be reduced by bringing it under the purview of the nationwide Goods and Service Tax (GST). The government, thus far, has refused to give in to the demands of the organization, and at least publicly, is putting up a brave front, with an unnamed joint secretary with the ministry of road transport and highways reportedly telling Business Today that the government won’t respond to “blackmail”. According to the bureaucrat, “the government also wants to bring fuel prices under GST but … going on an indefinite strike knowing it will affect supply of essential goods is blackmail. Some of their demands are not even genuine. They cannot be allowed to hold the country to ransom”.